The Organization for the Prohibition of Chemical Weapons (OPCW), an international watchdog group, has confirmed that Sergei Skripal and his daughter Yulia were poisoned using a military-grade nerve agent called Novichok. The findings come as Russian officials continue to deny that Russia had anything to do with the poisoning of the former double agent. The OPCW released a summary of its findings, which notes that the Novichok “was of high purity.” The public version of the report also goes to great lengths to make clear that no one could have tampered with the organization’s tests. “The team was able to collect blood samples from the three affected individuals under full chain of custody for delivery to the OPCW Laboratory and subsequent analysis by OPCW designated laboratories, and conducted identification of the three individuals against official photo-ID documents,” the new OPCW report reads. 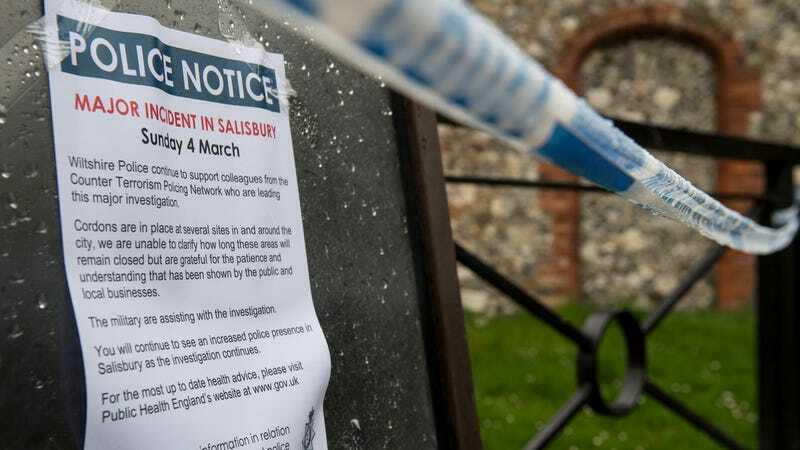 Skiripal, 66, and his daughter Yulia, 33, were poisoned on March 4th and were later found unconscious on a park bench in Salisbury, England. Yulia was released from the hospital yesterday and is staying at an undisclosed location. Sergei is hospitalized and improving, though it’s unclear if he’s able to speak. British authorities believe that the two were poisoned at their home and ultimately came to the conclusion that the Soviet-era nerve agent Novichok was responsible after extensive testing. “In the interest of transparency, and because unlike the Russians we have nothing to hide, we have asked the OPCW to publish the executive summary for all to see and to circulate the full report to all state parties of the OPCW, including Russia,” Johnson continued. Russian state-run media have repeatedly denied that the Russian government had any involvement in the poisoning. Some have even floated the idea that the UK poisoned the spy and his daughter as a false flag attack to make Russia look bad. The Russian Embassy in the UK is a notorious troll on Twitter, but didn’t tweet directly about the new OPCW report. Instead, they subtweeted the British authorities, urging them not to “obstruct” OPCW’s upcoming visit to Syria to investigate the suspected chemical attack in Douma. 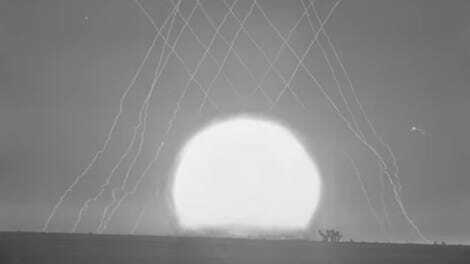 Russia is allied with Syrian dictator Bashar al-Assad, and regularly floats the idea that chemical weapons haven’t been used in Syria. The possible use of chemical weapons by Syria spurred President Trump to fire off a tweet yesterday warning that missiles were on the way. Less than 45 minutes later he appeared to backpedal and whine about how the US doesn’t get along with Russia anymore.